How much life insurance do you need? What company will offer the best life insurance policy? Some tips can make the process of buying life insurance more beneficial for yourself. We look at ten important tips on finding the best life insurance policy. It goes without saying that with any insurance, you need to establish why you need it in the first place. 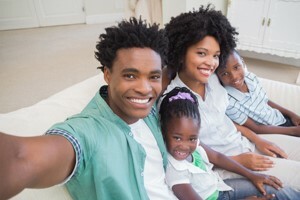 While life insurance is designed to provide for your family after the breadwinner’s death, if you’re very wealthy, you may not need life insurance at all. It’s always a good idea to remember, however, that the younger you are, the less expensive life insurance will be. Get some life insurance quotes and make sure that you read up on all the options, exclusions and restrictions on each one. This way you will know what you’re getting. LifeQuote is an excellent resource for this, offering free life insurance quotes to ensure you get the best cover for your unique circumstances. Be informed. Once you’ve found a life insurance company you can put your trust in, ask questions so that you understand exactly what you’re getting and what the rates are. Never feel pressured into buying something you do not understand completely. Yes, you want adequate cover, but that doesn’t mean over-buying. If your premiums are too high, you may find yourself skipping payments and your policy migh expire. What amount of cover do you need? If you’re not earning a hang of a large salary, you’ll want to know how much you need to put aside to enjoy the reasonable cover. To determine the amount of life cover you can afford, check out online calculators to help you know what will suit your circumstances. Its just a rough guide, and to be surer, discuss your unique financial desires with a professional financial advisor. Do research and find out if your life insurance policy has ‘living benefits.’ That can be extremely useful to you. How many times haven’t you needed to tap into a plan to get hold of money so desperately needed? If a life insurance policy has this feature, try and get it. That is because some insurance companies reserve the right to refuse benefits after a certain time. It is important to inform your family and draw their attention to this. Make sure they know all the details of the policy to avoid devastating disappointments. You have options, and the main kinds of life insurance are term- and whole life insurance. But there are other options too, so find out what they offer. Do look at the reputability of the company providing the life insurance. The product is certainly only as good as the company that provides it and backs it. It was cheaper at one time to take out a joint life insurance policy with your partner, but no longer. It may be worth looking at 2 two separate plans because then if one policyholder dies, the other one can still keep their plan. Remember to regularly review your life insurance coverage so that it can be adjusted as your family’s needs change. With life insurance, choose the best life insurance policy you can afford, you’re going to be waving goodbye to a certain sum of money each month. Make sure that you do excellent research so that you don’t regret parting with this money. It may be less than what others pay, or it may be more. It is up to you to make sure that every penny counts – your family are relying on you for that. For a FREE life insurance quote, fill in the form on this page and send!